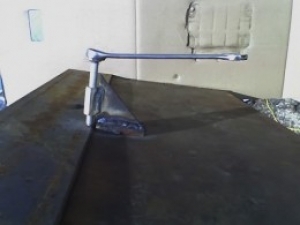 Homemade welding alignment tool designed to level the edges of steel plates for joining. Made from steel scrap, a coupling nut, a regular nut, and short length of threaded rod. I think I get it. I'll have to try this one.